Feb 15: Bassick, Quito, EC Feb 16: Lost Beach Club, Montanita, EC Feb 18: Flashback Mondays, Montanita, EC Feb 23: elrow, New York, US Feb 28: Momentum, Westlake Village, US Mar 01: Vibe Vessel, Austin, US Mar 02: Jacksons, Tampa, US Mar 08: Pur Pur, Moscow, RU Mar 09: Sky Garden, Krasnodar, RU Mar 09: We Love Summer, Cape Town, ZA Apr 05: TAJ Bar, Curitiba, BR Apr 06: Tetto Rooftop, Sao Paulo, BR Apr 13: Primavera Trompetera, Jerez, ES May 10: Iron Cow, Orlando, US May 11: Spin, San Diego, US Jun 26: Hive, Zurich, CH Jun 30: Blue Marlin, Ibiza, ES Jul 12: Doctor Music Festival, Lleida, ES Aug 07: Paradise @ DC10, Ibiza, ES Worldwide / ROW: goli@geist-agency.com North America: melissa@armige.com Australia / NZ: mike@thickasthieves.com.au Press: jake@dispersionpr.com Label: label@gruuv.net Audiojack are the Leeds grown UK duo who have built a solid reputation over the last decade as DJs, producers, remixers and label curators. Their original releases can be found on labels like Crosstown Rebels, 2020Vision and Hot Creations. 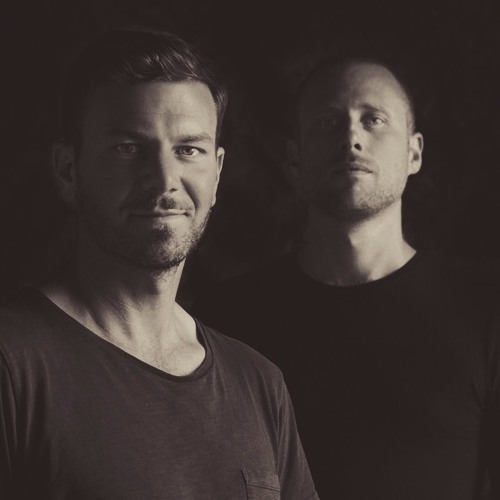 Their remixes on labels including Moon Harbour, B-Pitch Control and Diynamic, whilst Underworld, Groove Armada and Hot Since 82 are amongst the artists to have enlisted Audiojack for remixes. Starting out on Ralph Lawson’s 2020Vision recordings over a decade ago this is where they released their debut album ‘Radio’, and several bestselling EPs including ‘Get Serious’ and ‘No Equal Sides’. In 2016 they signed to Jamie Jones’ infamous Hot Creations label with the heavily played ‘Vibrate’ EP, and subsequently joined up with Damian Lazarus and his Crosstown Rebels crew, starting out with ‘Turya’ which brings the words of a guided meditation into a club setting, then ‘Implications’ – one of many of their collaborations with Kevin Knapp on vocals, followed by ‘Reverie’ featuring the voice of Osho which became one of the bestselling tracks of 2018, cementing their position as Crosstown Rebels bestselling artist in recent years. Running their own dancefloor focused label Gruuv for over 8 years has provided an alternative home for their original music. EPs such as ‘Stay Glued’ and ‘These Days’, and their remake of Jaydee's classic 'Plastic Dreams' were received to critical acclaim. The label has garnered a reputation for nurturing the best talent, new and old, counting Emanuel Satie, David Mayer, Marc Romboy, Stimming, Joyce Muniz, Whitesquare and Gorge amongst its releasing artists. It was Audiojack’s passion for DJing though which drove their desire to produce music in the first place. With two decades behind the decks they craft their sets with energy and panache. Accolades include a nomination in DJ Mag’s Best of British awards and mixing the legendary Essential Mix on BBC Radio 1. Over the last twelve years they’ve toured in hundreds of cities in over sixty countries. Remaining true to their beliefs and staying relevant without being contrived is at the core of Audiojack's success. The duo never rests on their laurels, reinventing themselves whenever necessary, although in an organic manner. In today's fast-paced, ever growing electronic music world it's not always easy to keep a cool head and maintain credibility and integrity. Audiojack stand proud as an example of how to do things the right way.